First Look Kalyanrams MLA | Kalyanram Latest News First Look: Kalyanram's MLA: Kalyanram Nandamuri is shooting for his next movie titled MLA and the makers unveiled the first look on the eve of actor’s birthday. Nandamuri Kalyanram is one of the finest actors of Telugu cinema. Unfortunately, the actor could not score massive hits and is waiting for the one big blockbuster that can change his career. After a debacle like ISM, Kalyanram took a break and he recently started shooting for his next film titled MLA. Manchi Lakshanalunna Abbayi is the tagline. Upendra Madhav is making his directorial debut with the film which is currently in its second schedule. Kajal Agarwal is the female lead and Brahmanandam is essaying a crucial role. The makers unveiled the first poster of MLA today as the actor is celebrating his birthday tomorrow. MLA look is the best of Kalyanram till date and the actor looks extremely impressive and stunning. 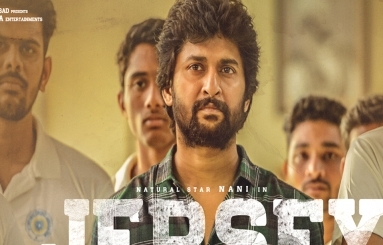 Manisharma is composing the music for MLA which is being bankrolled by Kiran Reddy, Bharat Chowdary on Blue Planet Entertainments and People Media Factory banners. MLA has been aimed for release this year. Kalyanram is also busy producing NTR’s next movie titled Jai Lava Kusa in the direction of Bobby which will release during Dasara this year.